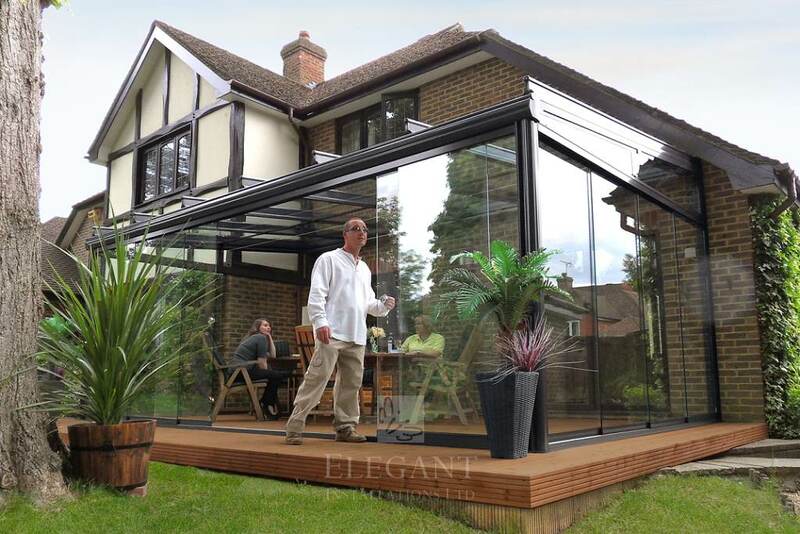 Glass Verandas & Glass Garden Rooms UK installed by Elegant, Stunning aluminium and glass patio roof canopies for outdoor living. Elegant Installations Ltd were in the vanguard of the contemporary verandas and garden rooms market helping to introduce this product concept in its early days. Today we remain a family business providing high standards with a personal touch. Customers find that our technical knowledge keeps us forefront while our history of testimonials speak for themselves. Our mission is to provide highly customer centric service supplying quality outdoor living environments with no cut-corners. 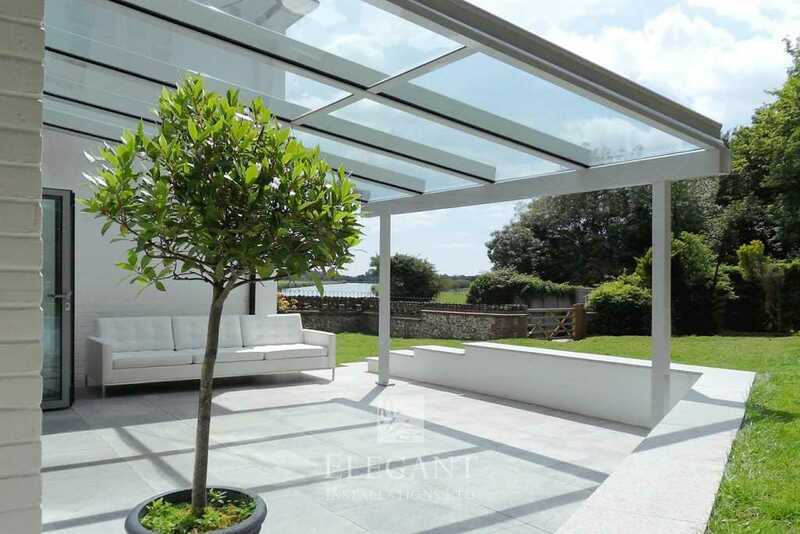 We offer you the most stylish and well engineered veranda patio roof systems, using quality aluminium components throughout. In-house fitting means the quality of our work never lets down the product supplied, each veranda installed with care. At Elegant Installations we have a long wealth of knowledge installing garden canopies, eventually registering Limited in 2004. You will find we take pride in our reputation putting customers first, every veranda backed with loyal after-sales care.